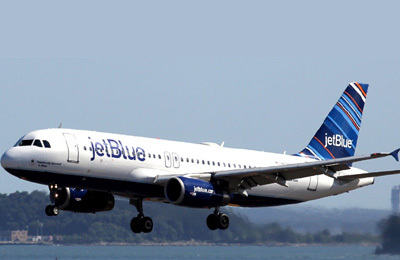 JetBlue Airways Corp said it began direct charter flights between New York and Havana on Friday, the first major US carrier to fly the route following President Barack Obama's decision in December to normalise relations with the Communist-ruled island. The airline said Cuba Travel Services is offering the weekly flight on Fridays between New York's John F. Kennedy International Airport and Havana's Jose Marti International Airport. It did not say how much the trip would cost. JetBlue now operates five weekly round trips to Cuba, including flights from Tampa and Fort Lauderdale-Hollywood with various charter partners, the company said in a statement. Since the Obama administration issued new regulations that eased some restrictions on trade with Cuba, including permitting more travel by Americans to the island, US airlines such as United Airlines and Delta Air Lines have also said they would look into adding service. Other charter airlines already operate limited service to the Caribbean island.